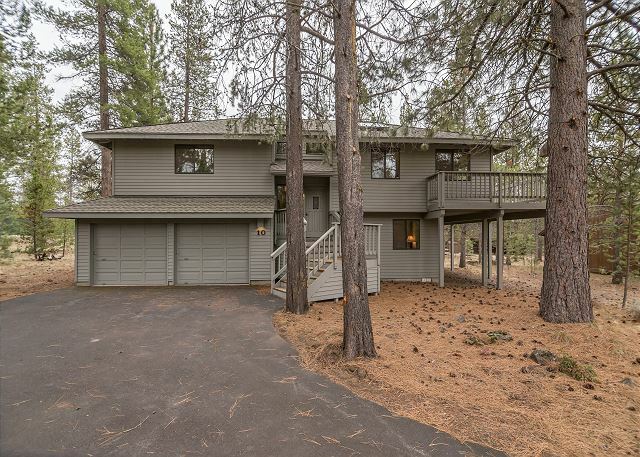 Sparks #10 is a quality 4 bedroom home in Sunriver! The master bedroom has a king bed, two bedrooms offer a queen bed and the 4th bedroom has 2 twins. Perfect home for 2 families, up to 8! Located in a quiet central area of the resort and has easy access to over 30 miles of paved bike paths. 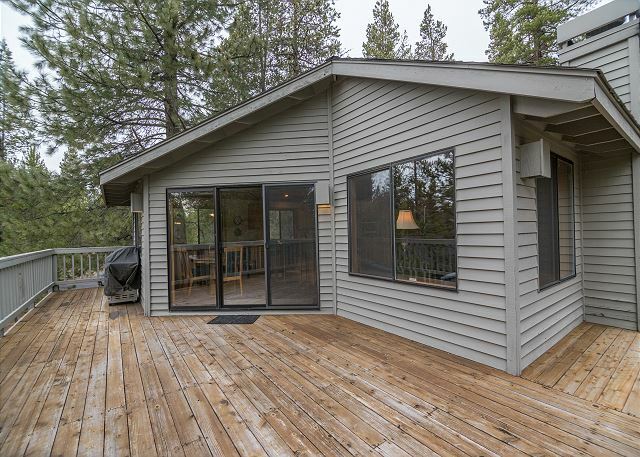 Have a BBQ with family and friends while soaking up Sunriver’s year round sunshine on the upper or lower deck. 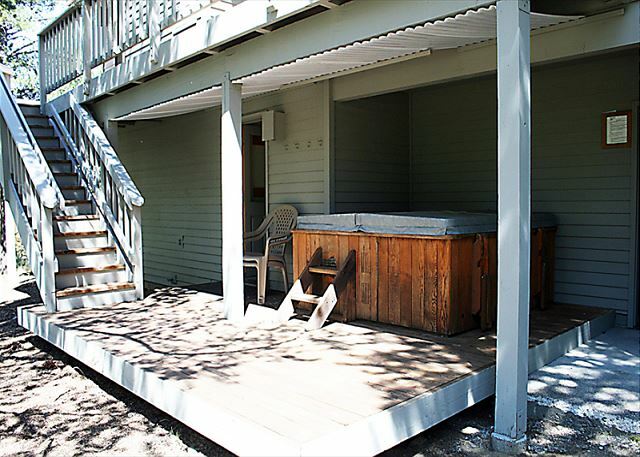 Relax in your private hot tub or warm up in front of the fireplace in the living room. Homeowner will reimburse guest for 50% of SHARC admission with valid SHARC receipt up to 50$ per day maximum. 50% reimbursement not to exceed 50$ in any one day. Ask for more details. Seasonal lodging specials include 50% saving in the Spring & Fall, 7th night free in the summer and more free nights in the winter and Holidays. This home has a fully stocked kitchen for family dinners, washer and dryer conveniently in the home and 4 TV’s & 4 DVD Players for family entertainment. There is also a gas BBQ and outdoor dining furniture on the large deck. 1 King, 2 Queens, 2 Twins, 2TVs/2VCRs, 2 DVD players, D/W, W/D, microwave, bikes, fireplace, garage, upper & lower decks, gas BBQ, HOT TUB, partial Mt. 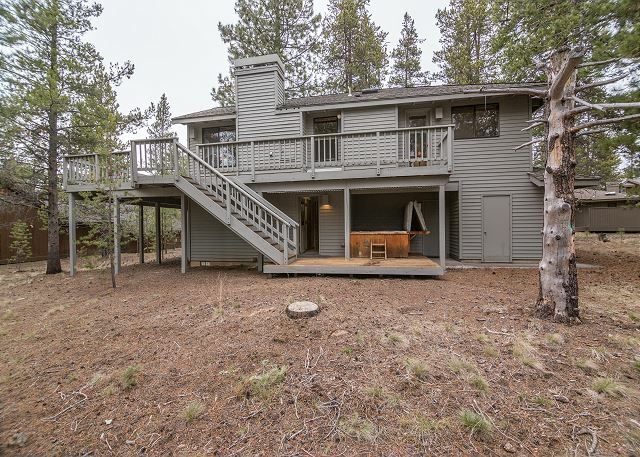 Bachelor view, close to tennis courts, in quiet central area of Sunriver, 1823 sq ft.
We originally paid for another house and that became unavailable. So the rental gave us some different options. The original house came with SHARC passes, this one paid up to $50.00 a day. The house was great for our family. The bedrooms were great. Kitchen was very usable and well stock for cooking. One burner on the stove did not work. The BBQ work great. The railing on the deck was unsafe. It is very loose. I think it was something that should have been taken care of before we arrived. Workers did come out unannounced and worked on it. We had a baby trying to take a nap! The deck railing was still loose, but a little better. We loved the big wheel for the little ones. Two of the bike were unusable. Flat tires and loose seats. Hot tub was great. Could not take a showers at the same time someone got cold water. The water seemed very hot. Upon arrival the code did not work, but called and got it taken care of right away. Very helpful. There was a lot of room to park for 3 families. We had a great time. Thank you for your review and feedback Dave, we appreciate it! We will have our maintenance team check out the railing on the deck and the burner on the stove. I apologize for them coming at a bad time. We will also check the bikes, after a long summer they get used a lot and we will make sure they are all repaired. Thank you! We had a great time in Sunriver. A quick summary of the home @10 Sparks Lane. - Close to SHARC/Village/etc... Easy bike ride or quick drive. - No AC. Summer time can get warm there. Wasn't a HUGE problem, just be mentally prepared. - Master bed/pillows...ok. Nothing to write home to mom about. - Bikes...there are some bikes in the garage that are available for use. But they pretty much are useless. I don't recall them being listed as an amenity during your stay...but it didn't matter because they were useless. Plan on bringing your own or renting. - Hot tub. Hot and ready when you need it. No privacy fence but it was relaxing. This is great feedback and thanks kindly for taking the time to help us get better, Allen! We will take a look at those bikes, if they are useless we should remove them. 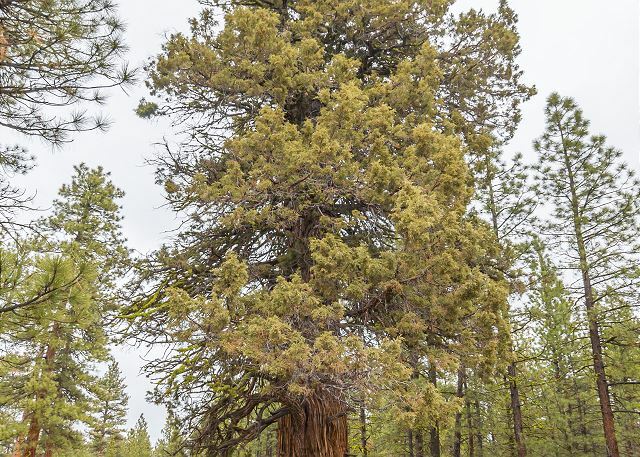 Your business is really important to us and we hope you'll get back to Sunriver soon. Thanks again Allen! House was clean and as advertised. Had to call to get pipes thawed twice but otherwise a good experience. The beds were not very soft. We wished we had a house with not so many stairs. The arrangement of the rooms were good. Lots of room for our two 1 yr olds to roam. It was our 38th annual family reunion and we spent most of our time at Sparks #7 with family. Our time at Sparks #10 was wonderful, and shared with another family. We were able to accommodate a total of 4 adults and 4 children quite comfortably. The street is quiet, and the children enjoyed riding their bikes around the Sparks lane circle. We saw deer in the bush but were never bothered by any animals. The place could use some cosmetic updating, but overall we had a nice experience. We did not use the hot tub, but opted for the discounted SHARC passes instead! We've come to Sparks 10 for at least the past 6 summers. Location is wonderful for kids (and adults). The long, large driveway makes a nice playground for toddlers and small kids to ride their bikes, and the circle rarely sees traffic. A few minor issues: The kitchen floor squeaks and is located over the downstairs bedroom--a problem if the downstair folks try to sleep in; and the hot tub cover this year was waterlogged enough to require two adults to lift it. 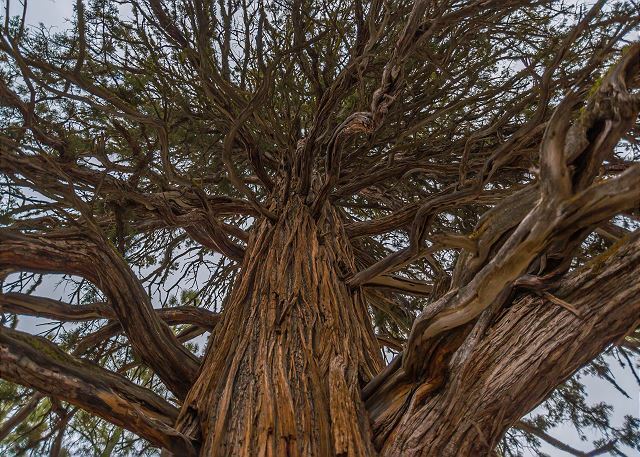 There was a problem with SHARC passes--which were free when we made the reservation in November, but 4 days before we were to arrive, we were notified that we'd get one free pass per person, but need to pay $13 per person per day thereafter. Apparently Sunset is not alone in not giving advance notice--from what we understand, we are supposed to call and ask if things have changed (??!!). To their credit, they tried to make things right and gave us some free passes. But take a warning from our experience, and call several months before you arrive to see what you're going to be spending. The house was clean, and if there was a problem (e.g., the TV remote didn't work properly), help was a phone-call away. Our family has many fond memories of Sparks 10.